I still remember my first grade teacher…Mrs. 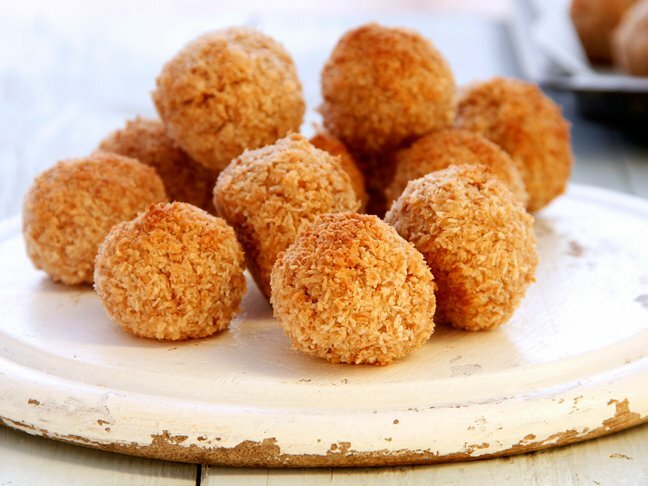 Boll. 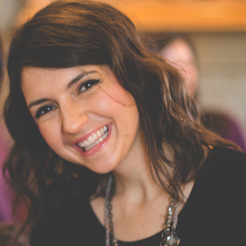 She was the best—kind, pretty, smart, and patient. And she really believed in me and nurtured my love for learning. To this day, my family still keeps in touch with her, and we look forward to seeing her Christmas card in the mail every year. Do you remember your favorite teacher and how she/he made an impact on your life? Now that I have kids of my own, I can only hope they are lucky enough to have a Mrs. Boll in their lives. Teachers are special, and they deserve to hear why they are special from the little minds they help shape. So this year, instead of the catchy and cute phrases and gifts (don’t get me wrong, I absolutely LOVE those gifts), with the help of the entire class, I created a chalkboard teacher gift from the heart. 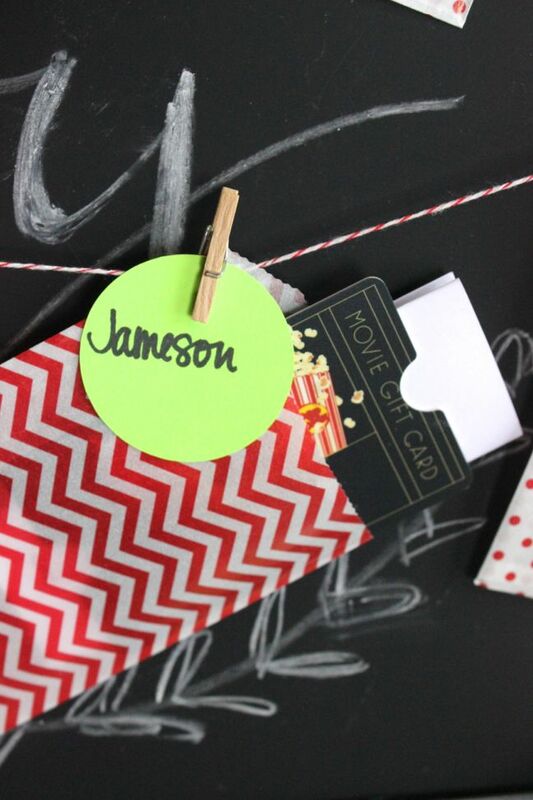 This is an easy, affordable way to thank a teacher this holiday season, and it involves teamwork and a chalkboard, which every teacher can appreciate. 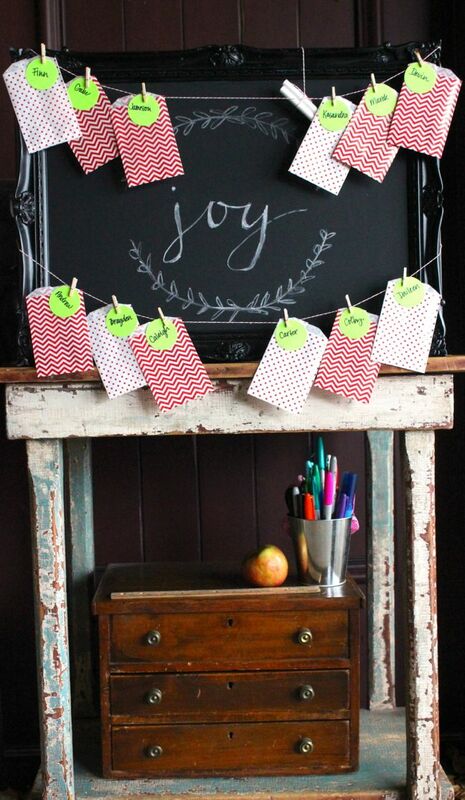 Step 1: Spray a framed mirror or photo frame with chalkboard paint to create a DIY chalkboard. Step 2: Email parents the FREE printable. Ask parents/students to return the completed printable to school. I left an envelope at the front office and asked parents to return it there. Scans of the printable sent via email work too. Step 3: Once the frame is completely dry, add art or text. 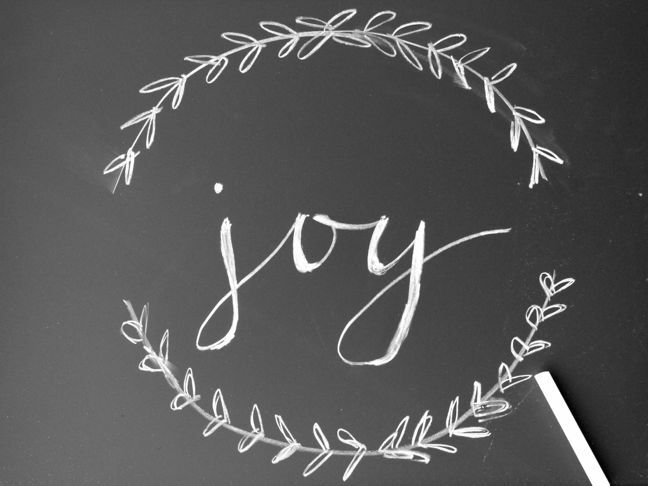 I love the word joy this time of year, so I created a free-hand piece of art. Step 4: Hang strings of twine across the chalkboard frame. Use painter’s tape to keep the twine in place on the back of the frame. Step 5: Attach bags with the mini clothespins along the twine garland. 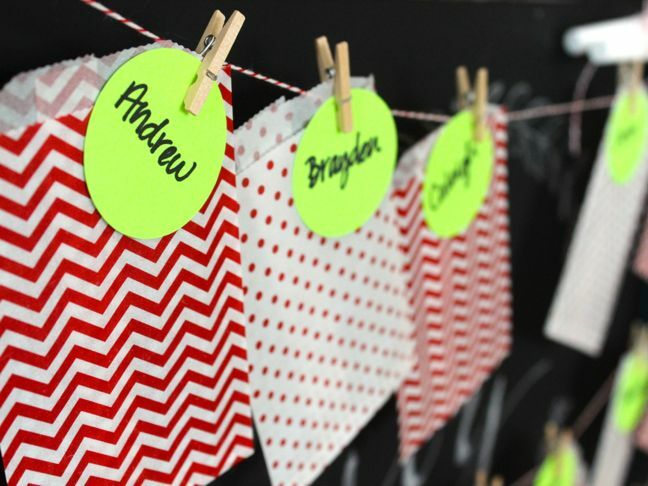 Step 6: Cut small circles and add names of the kids in the classroom to each circle, then add them to the bags. Step 7: Fill the bags with the sweet notes. As an added bonus, for those who want to give gift cards, they can include one in their bag, along with their note. 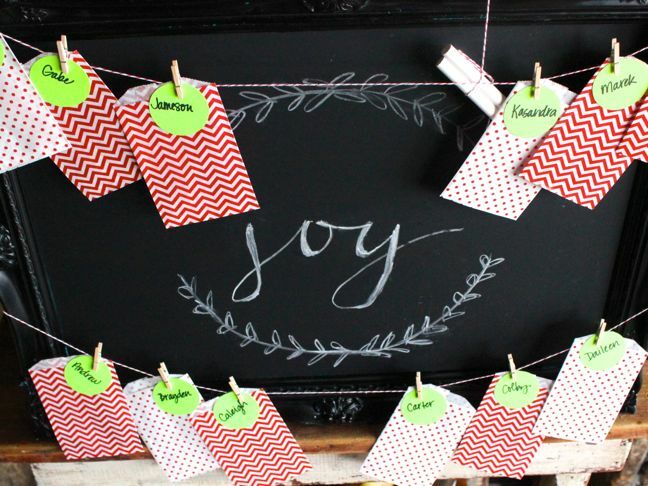 Step 8: Don’t forget to hang some extra white chalk from the twine too! 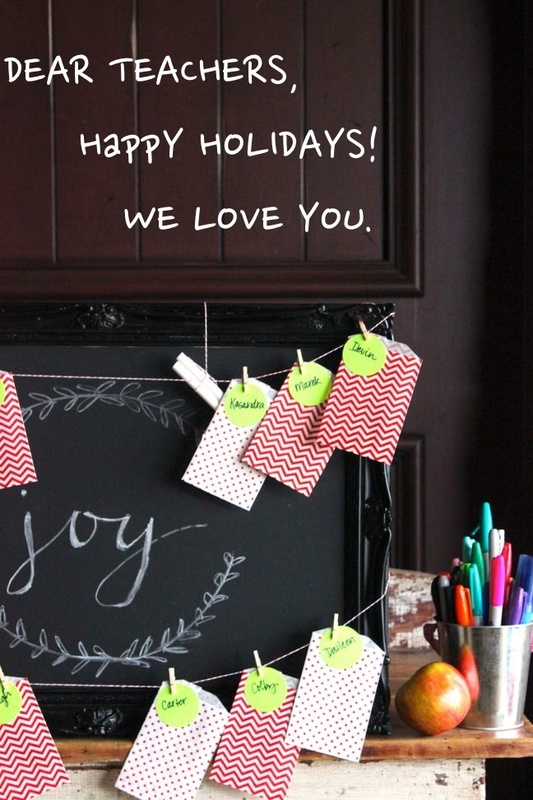 Happy holidays to all the wonderful teachers who make a difference in the lives of our children. Printable designed by Fleur de Lis. Photos via j. sorelle.